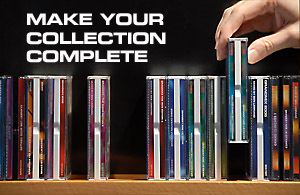 Eventually all stock runs out, so make your collection complete before the last copies are sold. This compilation mix was made exclusively for a chain of drugstores in the Netherlands. The mix contains only 50 tracks on 2 CD's and has no special intro or outro. This is a limited edition as only one batch will be pressed. Only 1000 copies are available through this site. Some tracks run longer, others shorter depending on all kinds of little rules that are really to enoying to bother you with. So enjoy the sunny rhythms and tunes!